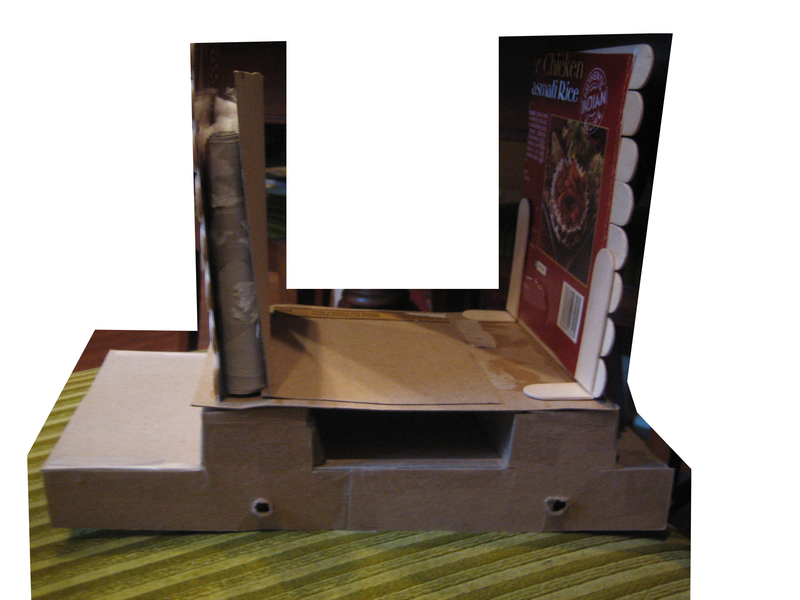 Exterior model of a planter enclosed by barrell shaped barks of trees on a wooded plank deck. 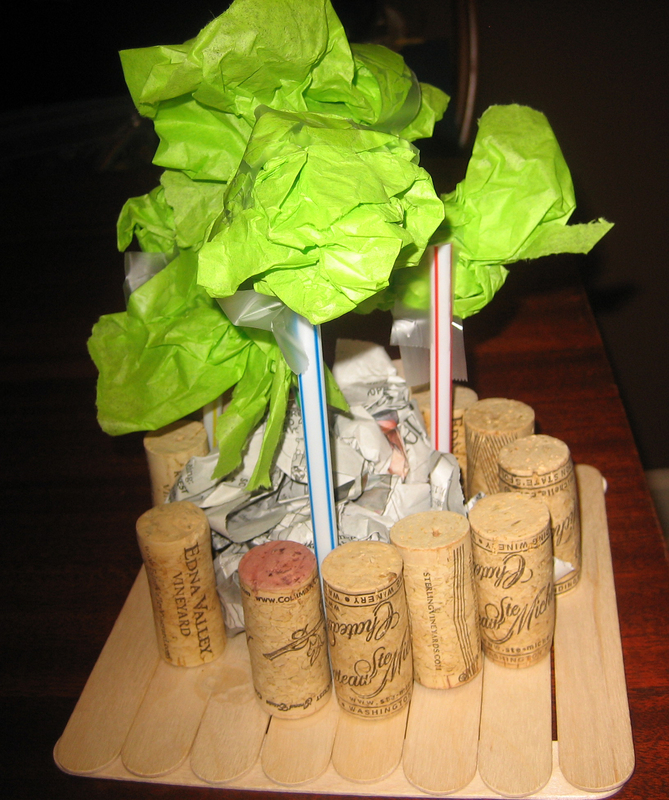 Materials used were colored tissue paper, straws, newspaper, popsicle sticks, and wine bottle corks. 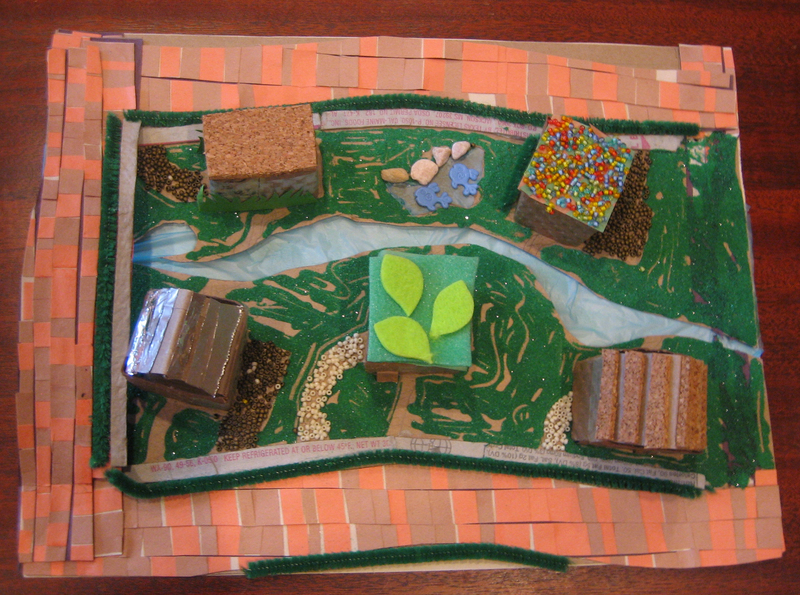 Building foundation with footing, substructure and reinforced slab with rebars. 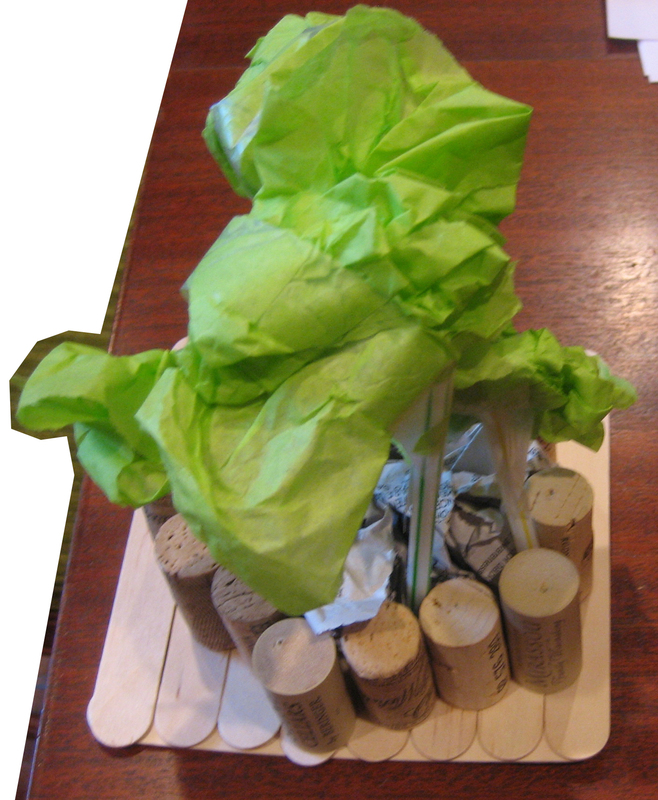 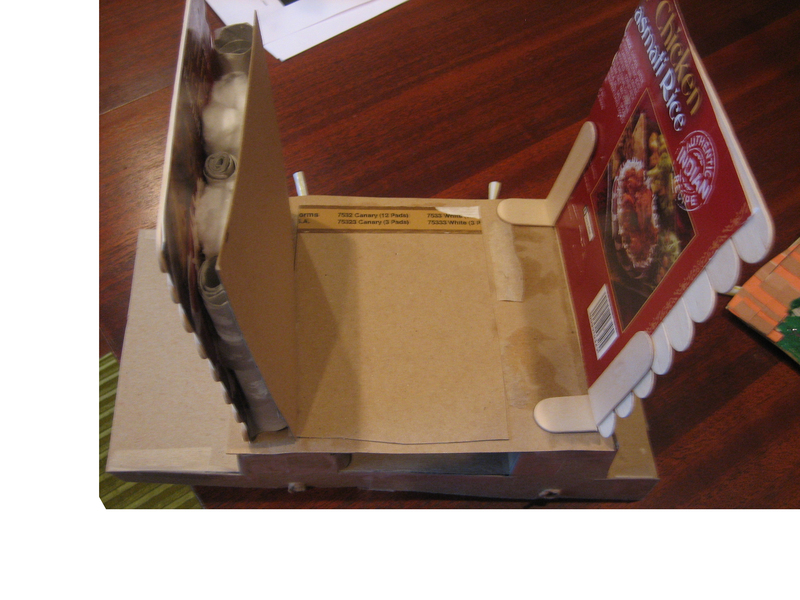 Materials used were cardboard backs of legal pad paper, cereal box cardboard, popsicle sticks, paper tower roll, toilet paper roll, and straws (for reinforced bars). 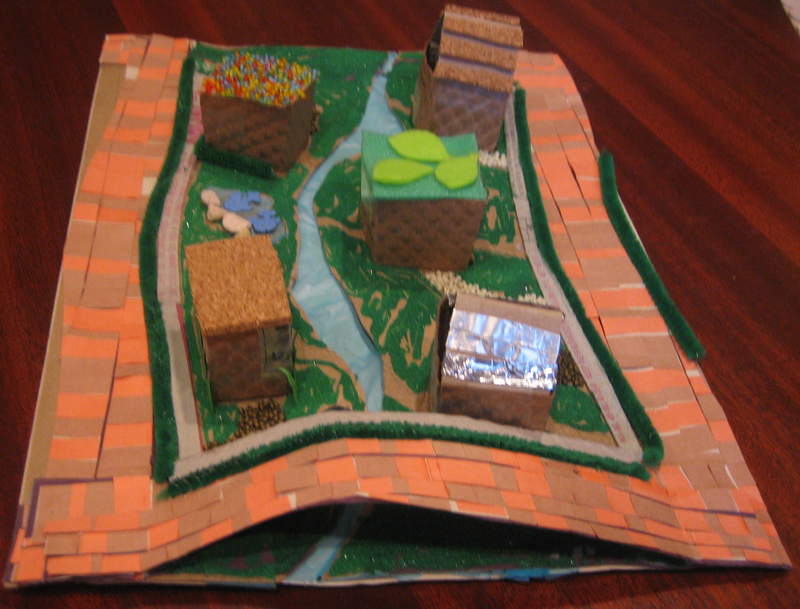 “Eco-Village” of 5 “recycled” or “sustainable” homes with a natural river weaving through, natural cobblestone paved road perimeter around the houses, and a recycled brick sidewalk. 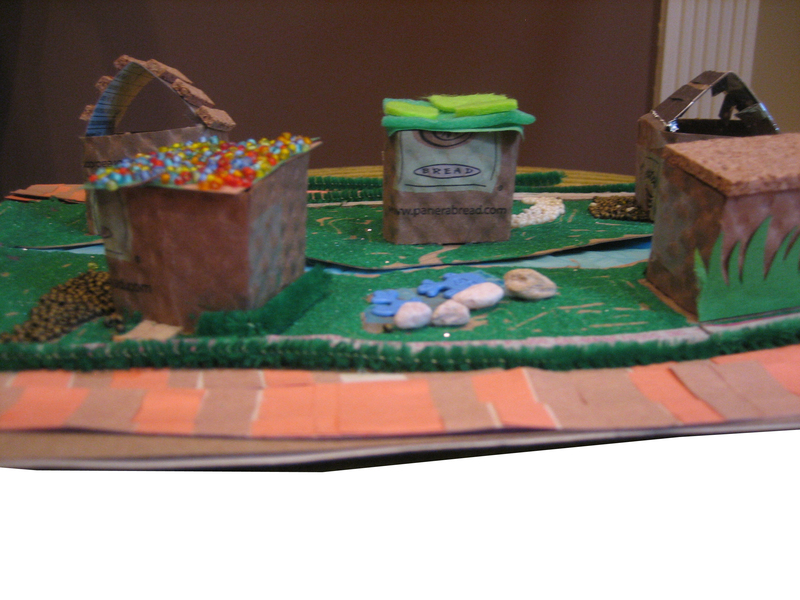 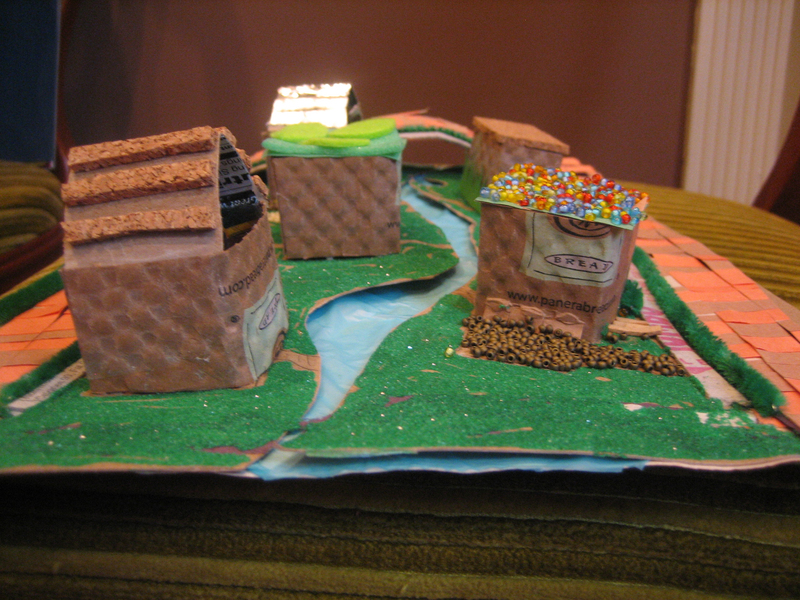 Materials used were felt paper, Panera corrugated coffee cardboard covers, beads, construction paper, colored sand, corkboard, stones and aluminum foil.